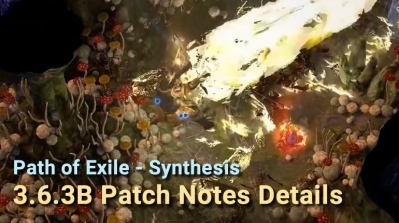 The PS4 version of the Path of Exile has been released for a while, and many ps4 players are addicted to this free and excellent arpg, but many new players don't know much about the game. A lot of ps4 players contact us and want to get advice on ps4 poe currency and leveling. This guide is designed to help new players understand the effects of various currency and how to get them in ps4 poe. How can make it: Chromatic Orbs can be dropped by slain monsters, chests, and destructible containers. They also drop from Arcanist's Strongboxes. 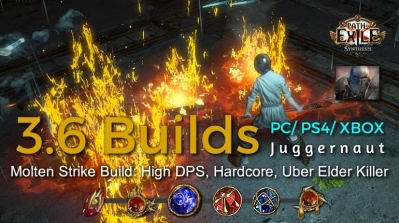 One can also obtain Chromatic Orbs directly from vendors. The probability of new color appearing after using Chromatic Orbs is related to the equipment demand. The strength demand is prone to red holes, the dexterity demand is prone to green holes, and the intelligence demand is prone to blue holes. For example, equipment with pure strength is more likely to have more red holes. Equipment with dexterity and intelligence needs is more prone to blue holes and green holes. In addition, the value of the equipment demand will also affect the probability of the hole color. The higher the equipment demand value, the higher the probability of the color. How can make it: Jeweller's Orbs can be found from slain enemies and Arcanist's Strongboxes. They can be purchased by selling 2 Orbs of Alteration to Yeena. How can make it: Orbs of Fusing are uncommon currency items that can be dropped by slain monsters, chests, and destructible containers. They also drop from Arcanist's Strongboxes. Orbs of Fusing may be obtained from vendors. It is a dream for many player to use Orbs of Fusing to complete the six-link. When you personally point the item to six-link, you will also get a special achievement, but the six-link is ​​really not an achievement that usually takes a few currencies to complete. This part of the GGG does not announce the probability of real six-link, but the player speculates that it takes about 1200~1800 Orbs of Fusing cost. Using Armourer's Scrap or Blacksmith's Whetstone to improve equipment quality can also increase the probability of 4L 5L 6L. How can make it: Chaos Orbs are uncommon currency items that can be dropped by slain monsters, chests, and destructible containers. They also drop from Arcanist's Strongboxes. A Chaos Orb is a currency item that can be used to re-roll the random modifiers on a piece of rare equipment. Chaos Orbs are useful in crafting, as they reroll all modifiers (and the number of modifiers) on a rare item. This makes for unpredictable results, so getting a specific modifier is not easy. 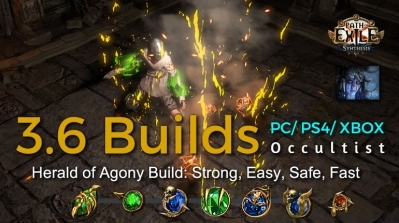 Using multiple Chaos Orbs on a piece of equipment in the hopes of getting at least a few good modifiers is called 'Chaos spamming'. Chaos Orbs is the basic unit of currency in the Path of Exiole. You can understand that using this orb to exchange other equipment you want in the trading market, or to exchange a lot of other currency needed in the early stage. How can make it: Exalted Orbs are extremely rare currency items that can be dropped by slain monsters, chests, and destructible containers. They also drop from Arcanist's Strongboxes. Exalted Orbs can also be obtained by combining 20 Exalted Shards. An Exalted Orb is a currency item that can be used to enhance a piece of rare equipment with a new random affix. Exalted Orbs are high-value currency that play a crucial role in the in-game economy. Their primary purpose is to craft high-end rare items. 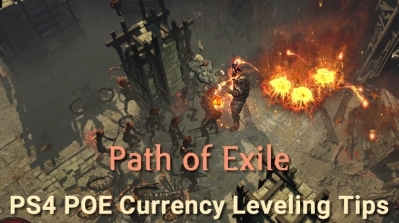 Because of this, it is regarded as the "gold standard" currency for trading between players, with many trade deals listed in terms of Exalted Orbs. For beginners, Tabula Rasa is a great leveling gear. The original 6 White Sockets allows you to easily hit high damage and fast leveling in the early game. 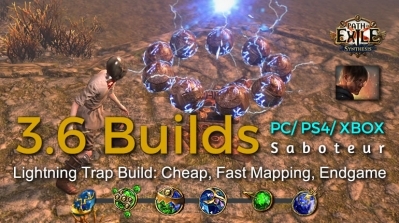 Most players will choose to use Tabula Rasa in the early stages of the game to help them quickly leveling, but this equipment is not easy to rely on the player's own production. You can buy it on R4PG at the cheapest price. How can make it: Orbs of Transmutation are common currency items that can be dropped by slain monsters, chests, and destructible containers. They also drop from Arcanist's Strongboxes. Orbs of Transmutation can also be obtained by combining 20 Transmutation Shards, which are in turn obtained by selling unidentified magic and rare items to any vendor. An Orb of Transmutation can also be purchased from Nessa in exchange for 7 Portal Scrolls. Magic item has up to 2 affixes, and may also be 1 affixes. Turn Magic item with only one affix into blue with 2 affixes. If you use Orbs of Transmutation to make a Magic item with only one affix, you can use it take the second affix. If you want to use it to get a specific unique , you must find the corresponding normal item. In addition, 4 Orbs of Chance can go to NPC to buy a Orb of Scouring, 8 Orbs of Chance is equivalent to 1 Orb of Regret. How can make it: Catarina starts selling a set of 30 Orbs of Scouring for 96 Orbs of Chance at level 6. You can find NPC use 2 Orbs of Scouring buy Orb of Regret. 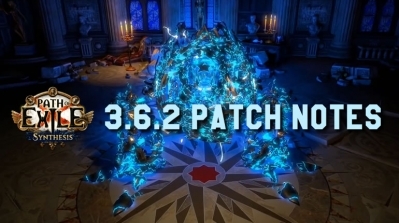 Equipment upgraded with Regal Orbs must be 3 affixes. Adding affixes or changing affixes to an item is the only way to upgrade items or even make the ultimate equipment in this game. We recommend that players first look at each item available affix type and relevance with level, after a general understanding, is a mathematical problem. Orb of Transmutation, Orb of Augmentation, Orb of Alteration for the normal player the most used is on the map, flask, safe box, or buy Jeweller's Orb and Orb of Fusing. Chaos Orb and Exalted Orb belong to the currency used in the game for high item level materials, but most of the two orbs are still used as standard units for item trading, if you are a super lucky newbie in the early game Get chaos orb or exalted orb don't use it on rare equipment. For newcomers, taking a deal can get you more. If you want to upgrade a normal gear to unique gear, this is actually a very top player to qualify for this. Most successful players will first find the right equipment in the market or their own semi-finished rare equipment (for example, there are three suffixes that are high and high), and then evaluate whether to use the exalted stone. If you accidentally fail in this process, the loss may be a lot of exalted orb, and even loss of original equipment. 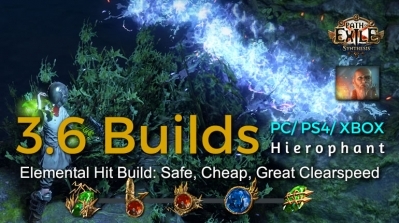 The Ranger is Path of Exile's pure dexterity class. 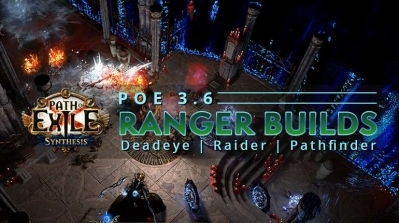 R4PG lists some PoE Synthesis Ranger Deadeye, Raider, Pathfinder builds for starter that can help players quickly leveling, funny and interesting. Lightning Trap launches a ring of projectiles through the enemy that set it off, dealing lightning damage to them and subsequent targets: Throws a trap that launches a ring of projectiles through the enemy that set it off, dealing lightning damage to them and subsequent targets. 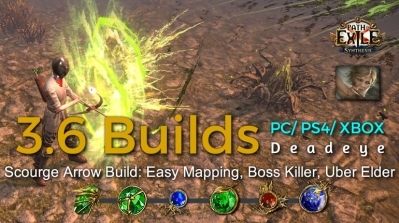 Scourge Arrow is a new skill introduced in 3.4. Additional arrows (from support gems and items like Death's Harp) cause spore pods to distribute among each arrow, rather than in a line from player. More than 4 additional arrows does not cause additional pods to spawn. Elemental Hit is an attack skill, executing a basic attack with added damage of a random element. An Elemental Hit may be performed with any weapon, or with no weapon equipped.